Will they be attempting to recover the side boosters? Where will the side boosters land? Will they be attempting to recover the core booster? Where will the core booster land? 2nd flight of a Falcon Heavy rocket. 4th mission for SpaceX in 2019. 36th, 37th & 38th booster landings. Maybe for even more fun you can watch with Tim Dodd, the Everyday Astronaut starting at 21:15 UTC (5:15 PM EDT)! Come ask questions and join the conversation live! SpaceX will be launching its second Falcon Heavy rocket carrying the Arabsat-6A communications satellite to orbit. This Falcon Heavy is brand new, composed of two block 5 side boosters (B1052 & B1053) and a single block 5 core booster (B1055). After separating from the core booster, the two side boosters will return to the launch site and land at Landing Zones 1 & 2 (LZ-1 & LZ-2). Following separation from the second stage, the core booster will be landing on Autonomous Spaceport Drone Ship Of Course I Still Love You (OCISLY). 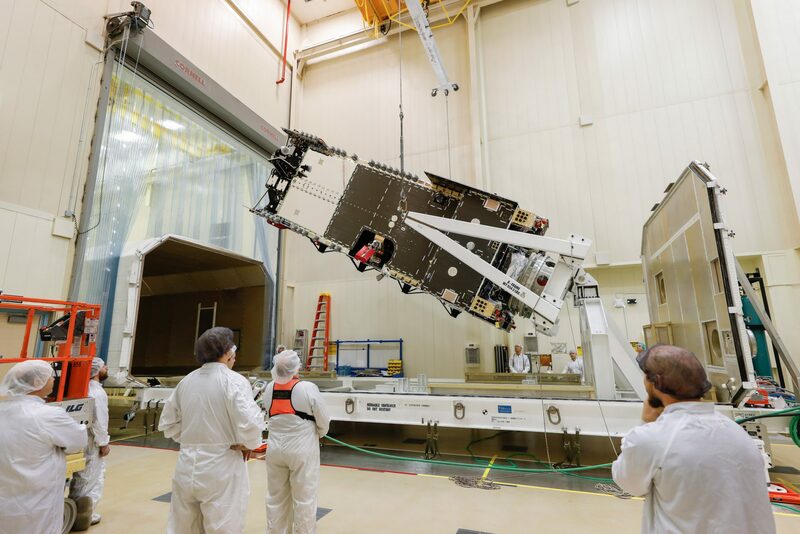 The Arabsat-6A is an LM 2100 series satellite built by Lockheed Martin. It is a companion satellite to Hellas Sat 4/SaudiGeoSat-1 which was launched on February 5th of this year by ArianeSpace on a Ariane 5 rocket. Arabsat-6A will be be located in a geostationary orbit at 30.5 degrees east. It will provide television, internet and mobile phone services for the Middle East, Africa and Europe. Tim Dodd, the Everyday Astronaut, will be livestreaming this launch from the NASA Causeway starting at 21:15 UTC (5:15 PM EDT). So come ask questions and join the conversation live! If you want the best way to know when a launch is coming, I’d suggest downloading the NextSpaceflight app to stay in the know! Hi, Why spacex is using powerful falcon heavy for just 6000kg payload to GTO. is it to qualify falscon heavy operational status or this mission really required heavy rocket? They very likely chose the Falcon Heavy to just demonstrate its capabilities to NASA and the Government and thereby license it for government missions and NASA. ArabSat6A has very weak thrusters on-board, so Falcon Heavy will be pushing it into an orbit with a much higher perigee than a normal GTO. This allows the satellite to more easily move into its final orbit. If a Falcon 9 were used, it would take a long time (not to mention a lot of fuel used by the sat) in order to get it operational. All of this is true, but to my knowledge its because they want to put it on a FH to show its reliability. Maybe it’s a case of place your bets squared as there have been quite a few suggestions as to why, some mentioned below. 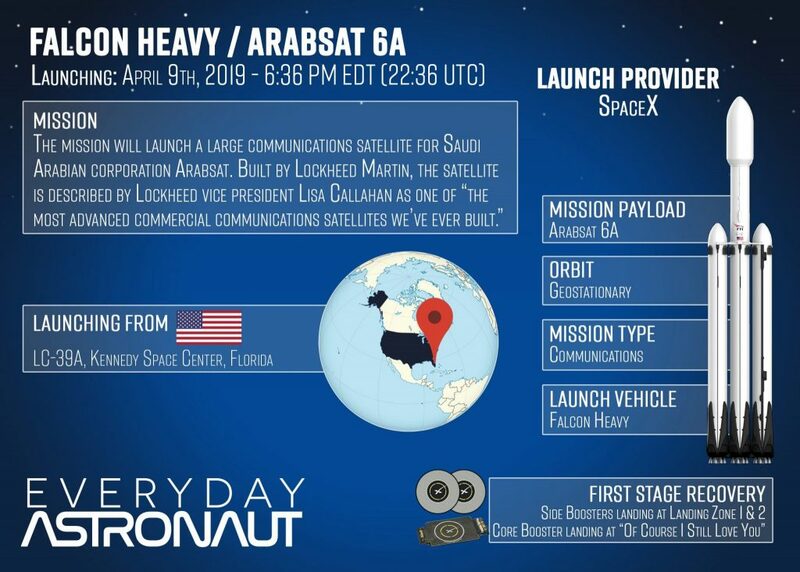 It’s just the Arabsat satellite’s launch contracts were announced when the Falcon Heavy was the only option for the Satellite. So the Satellite and its payload adapter are designed for Falcon Heavy, so the satellite is at a point of no return. When the contract was signed, a Falcon Heavy was required for the proposed payload. Since then, the Falcon 9 Block 5 was released, which was powerful enough. 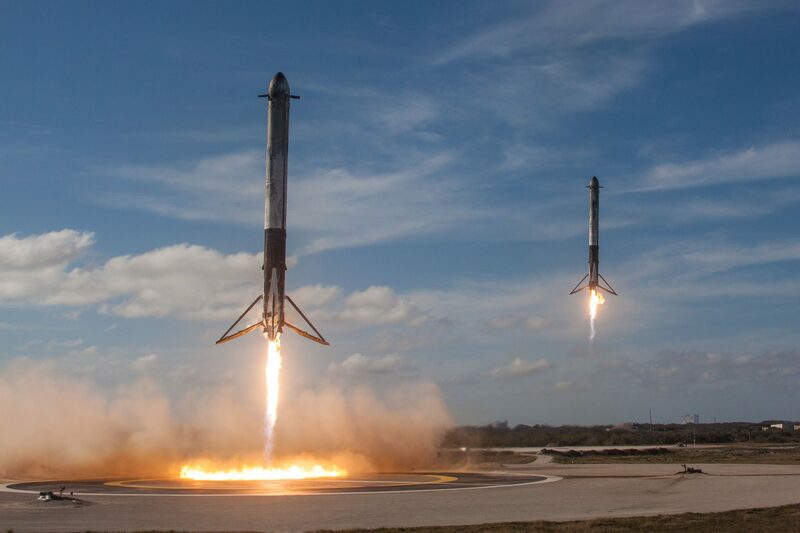 if they land all 3 boosters, it’s going to be all over the news. The U.S. MSM won’t cover it unless they fail. Can anyone convert the launch time to IST.. Grab the “SpaceX Now” app it will give you all the space x launch times in your local timezone. BFR isn’t going to be launching for a long time, I’d worry about that closer to when we see it being set up for real. Sweet – with the delays it’ll now be just after 10:30 tomorrow morning here in NZ!! Hey I am a big fan, and I am going to be able to fly up from Texas to see the launch. I will be viewing from the feel the heat tickets. Do you have any viewing suggestions or advise? Thanks! Hey, I live in India, in IST the launch is in the night, I sneak out of my bed every Launch night only to find that the date has been postponed and then have to endure the history class nodding to sleep?? Where can I watch livestream? Go to You Tube, look up The Everyday Astronaut….That live stream starts around 30 minutes before launch, also, if you have an android device, get the Space Launch Now app! Nopes, they won’t. Center core will land on a droneship (OCISLY), Mr. Steven is being repaired atm. Let’s get this thing up today! !